The story of Universal Pictures and Illumination Entertainment’s ‘Minions’ begins at the dawn of time. Starting as single-celled yellow organisms, Minions evolve through the ages, perpetually serving the most despicable of masters. Continuously unsuccessful at keeping these masters – from T. rex to Napoleon – the Minions find themselves without someone to serve and fall into a deep depression. 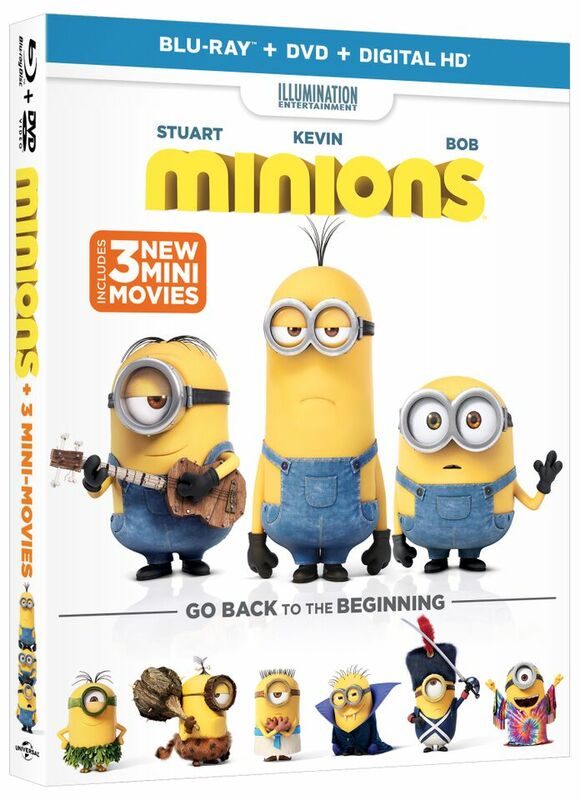 But one Minion named Kevin has a plan, and he – alongside teen-age rebel Stuart and lovable little Bob – ventures out into the world to find a new evil boss for his brethren to follow. The trio embarks upon a thrilling journey that ultimately leads them to their next potential master, Scarlet Overkill (Academy Award winner Sandra Bullock), the world’s first supervillainess ever. They travel from frigid Antarctica to 1960s New York City, ending in modern London, where they must face their biggest challenge to date: saving all of Minionkind…from annihilation. Also starring Jon Hamm, Michael Keaton, Allison Janney and Steve Coogan. You can pick up a copy of the flick on Blu-ray Combo Pack and DVD to keep the kidlins quiet and happy for all the car trips coming up and you can get it just in time for Thanksgiving on November 24, but only on Digital HD, now if you want a physical copy of the raving animated hit, you’ll have to wait until December 8 for that one. 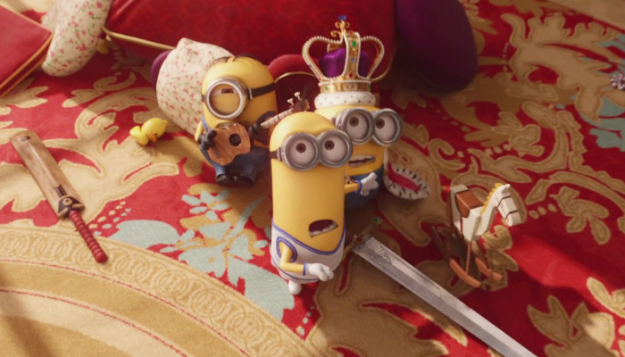 WRITER – See how the Minions evolve throughout the different time periods. Writer, Brian Lynch discusses creating distinctive personalities for the three main Minions, his VillainCon idea, and the Minion family. BOSS’ OFFICE – Illumination Entertainment CEO and founder and Minions producer, Chris Meledandri discusses the origins of Illumination Entertainment and the genesis of both ‘Despicable Me’ and the ‘Minions’. ART DEPARTMENT – See how the Minions came to life, from the original art concept of the henchmen to the final creation of the Minions and how to differentiate them between new time periods. Also, see how the idea of Herb and Scarlett Overkill’s characters came to be. COMPOSER – Listen to how composer Heitor Pereira creates the sound of the ‘Minions’ and what it takes to create big music for small characters. LIGHTING, LAYOUT AND EFFECTS – A look at the ways in which layout and lighting plays a big role in the emotion and motivation in the movie. Also see the ways in which they try to keep the 60’s vintage look and the challenges they face with very technical shots, where one shot can take weeks. PRODUCERS – Producers Chris Meledandri, Janet Healy and Executive Producer Chris Renaud discuss the three main characters – Kevin, Stuart, and Bob – little family in the movie and the goal of creating a special bond between them and the audience when they leave the theater. 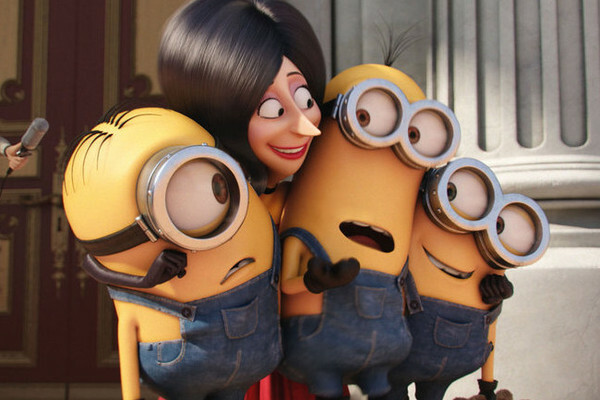 EDITORIAL – Editor Claire Dodgson discusses the distinctive editing style of the Despicable Me franchise and the three-year process it takes to make these movies from the original storyboards to cutting scenes with Minion dialogue. STORYBOARD ARTIST – Learn how the actions of the words of the script turn into visual drawings and how much work is put in from the rough sketches to the final cut of the movie. ‘The Secret Life Of Pets’ Comes To Blu-ray and HD Digital!!! This entry was posted on Monday, October 19th, 2015 at 1:07 pm	and is filed under Film, News. You can follow any responses to this entry through the RSS 2.0 feed. You can skip to the end and leave a response. Pinging is currently not allowed. « WWE and Texas Lottery Team Up For Wrestlemania!